Philips Advance Xitanium Programmable LED driver is perfect for highways, urban streets, high bay, industrial, area and flood lighting. It requires an input voltage of 120-Volt AC and provides output voltage of 24-Volts. 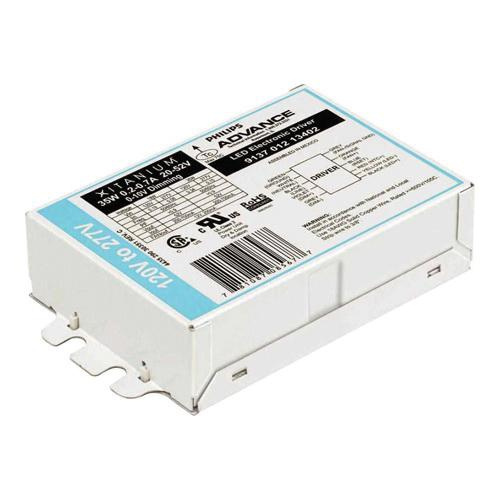 This LED driver has output current rating of 4.1-Amps and output power rating of 100-Watts. It has power factor greater than 0.9 and ensures reliable/consistent operation. This driver featuring rugged design, has easily programmable user interface for on-site customization of driver requirements. It withstands temperature rating of -40 to 55 deg C. LED Driver is UL listed, CSA certified and RoHS compliant.